Inspirational and anointed Gospel Musician, Akesse Brempong known to have been the dominant force in the gospel reggae genre or section is set to blow the minds of Ghanaian and the world once again with another powerful upcoming song he titled ‘Hosanna to the King’. The new song is set to be available on the 23rd of October. Without doubt Akesse Brempong has gradually become a household name in the entire music industry in Ghana. 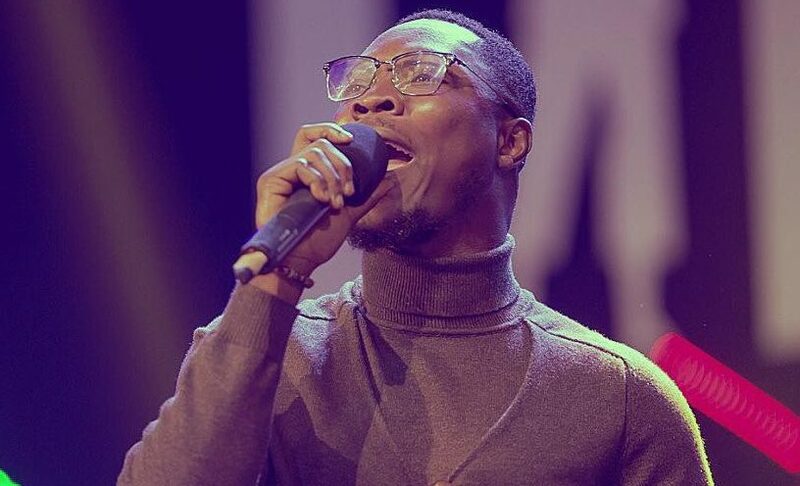 With consistent release of passionate and spirit filled gopel music, he has grown to become Ghana’s Gospel Reggae King. His last album ‘Kumasi City Live’ has seen massive audience and patronage especially for the two incredible pentecostal worship songs Spontaneous 1 & 2. And currently these 2 songs even from the time of release has maintain positions in the top 20 Contemporary Gospel 20 songs in Ghana put together by WorshippersGh. 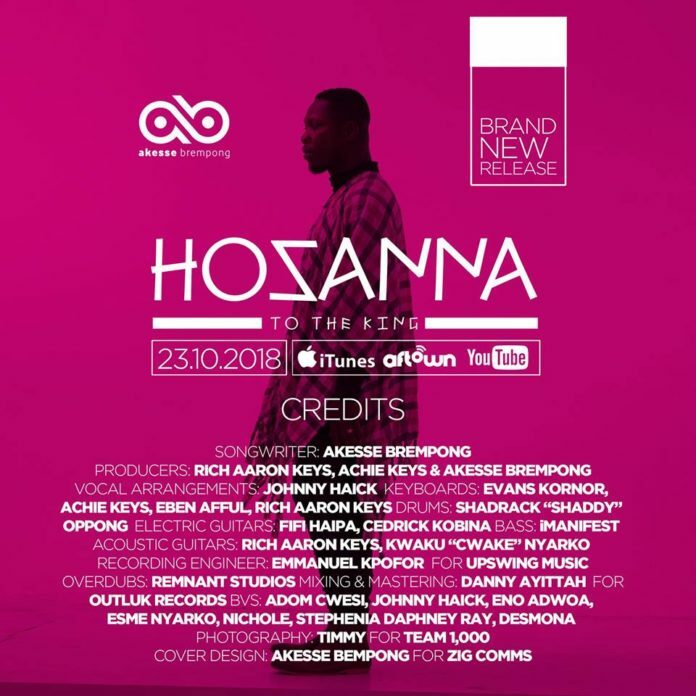 The new song ‘Hosanna’, written by Akesse Brempong himself and produced in collaboration with Rich Aaron and AChie Keys is to stir up a worship anthem on the lips and in the heart of many who will have the opportunity of listening to it. The single would be made available on the 23rd of October, 2018 via various online music stores including ITunes, Aftown and YouTube.